Fontcoberta, 4, 08034 Barcelona, Spain. 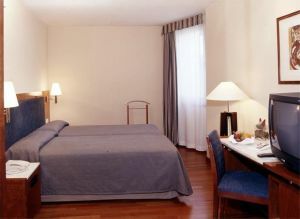 Hotel Husa Pedralbes is a modern hotel which is located in a residential quarter called Sarriá-Pedralbes, a quiet part of Barcelona, near from the Diagonal Avenue. The Hotel Husa Pedralbes is well communicated with the main cultural places of Barcelona, and near from the well-known Camp Nou, the famous Football Stadium of the F.C Barcelona and the University and the Congress centre are also close too. The hotel offers 30 stylish rooms, all are decorated in classic style, in total harmony with its surroundings. Parking available. 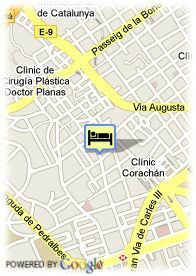 Paid public parking near the hotel (covered) (17.12 €), Reservation obligated.